Will I Feel Pain During Root Canal Therapy? 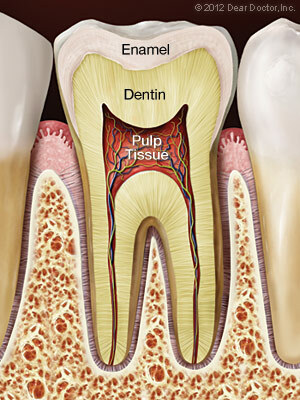 A root canal is one of the most routine and effective procedures in the arsenal of dental treatments and can often be accomplished in just one visit. 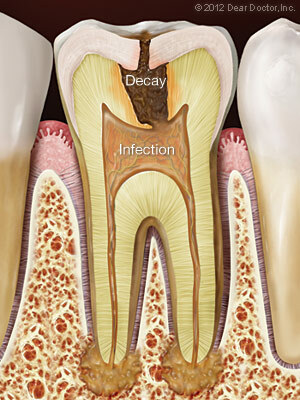 Many root canal procedures are performed to relieve the pain of toothaches caused by pulp inflammation or infection. With modern techniques and anesthetics, most patients report they are comfortable during the procedure. For the first few days after treatment, your tooth may feel tender, especially if there was pain or infection before the procedure. Over-the-counter pain relievers like ibuprofen are generally effective in relieving discomfort, but prescription medications may also be given if needed. During this period, it may help to avoid biting hard on the affected tooth. All of these symptoms, however, should be temporary. 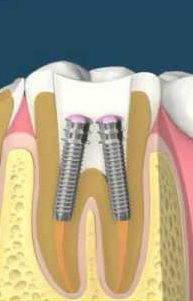 To further protect the tooth and resore it to full function, you will need to have a crown placed on it. You should not chew or bite on the treated tooth until you have had it restored. The unrestored tooth is susceptible to fracture, so you should schedule this appointment with Dr. Valerin as soon as possible. Most endodontically treated teeth once fully restored last as long as other natural teeth when practicing good oral hygiene, including brushing, flossing and regular checkups and cleanings.